A man has been jailed after a string of offences – including stealing more than £10,000 worth of jewellery and taking a new £59,000 Porsche without consent – in Hastings and Bexhill. Aiden John O’Brien-Daniels, of Whernside Close, Thamesmead, London, was sentenced to six years in prison after pleading guilty at Lewes Crown Court on October 30. The 20-year-old stole a number of items including two cars, diamond and gold jewellery, an iPad 2 and a mobile phone at knifepoint between September and December, 2014. O’Brien-Daniels was pursued in a high-speed chase by police after taking a white Porsche Boxster GTS sports car and other items from a property in Collington Rise, Bexhill, on December 5, 2014. Police chased him from Robertsbridge, down the A21 to Hastings dodging cars and reaching speeds of 100mph before crashing on the mini roundabout on Sedlescombe Road North. Police released a video of the chase which can be viewed here. O’Brien-Daniels was also found to be in breach of a conditional discharge for a previous offence. 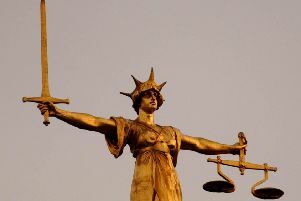 Judge Anthony Scott-Gall sentenced him to four years for robbery, 18 months for burglary and aggravated taking without consent (TWOC) and six months for handling and TWOC concurrently plus six months for breaching a conditional discharge. He was also disqualified from driving for five years. Following the sentencing, Detective Sgt Jason Tuck said: “O’Brien-Daniels is a man who showed no regard for other people, be it someone threatened with a knife, home owners or those lives put at risk by his dangerous driving. O’Brien-Daniels threatened a man with a knife and stole his mobile phone, forcing him to disclose his password on Monday, September 15, 2014, while in Alexandra Park. His victim was not injured. In another incident on Wednesday, November 26, 2014, a house in Truman Drive was burgled during daylight hours. Diamond and gold jewellery worth £10,000 and a £500 iPad 2 were stolen, together with spare keys to a Mercedes-Benz C-class car, which was later driven off the driveway at around 5am. The car was recovered in Enfield four days later, with false number plates and a finger print from O’Brien-Daniels, giving rise to the handling and TWOC charges against him. Then nine days later, O’Brien-Daniels and another man stole jewellery, camera equipment and the Porsche Boxster. The car, which had just five miles on the odometer, was tracked heading east through Glyne Gap before being spotted by a police traffic patrol on the A21 north of John’s Cross. The Porsche drove through Robertsbridge High Street to rejoin the A21 heading south once being followed by police. Once it got to Hastings, the stolen car crashed, damaging street furniture and other vehicles and itself being written off. The two suspects fled on foot, hedge hopping through gardens and dropping a box containing jewellery stolen from both the break-in at Collington Rise and another burglary in Herbrand Walk, Bexhill, the previous day. Forensics and other clues led to O’Brien-Daniels and his accomplice being arrested.